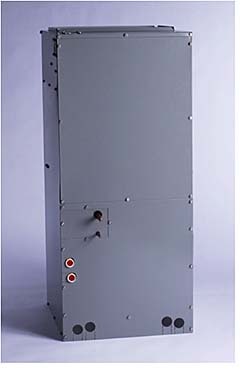 PVFY vertical air handlers feature capacities between 12,000 to 54,000 Btu/h, an additional set of contacts for economizer control, and support dual set point function. DC motors and a forward curved blower provide operation with sound ratings as low as 29 dB(A). Can be installed vertically or horizontally.